In 2008 we were named one of the top 100 Home Based Businesses in the US by StartUp Nation. I’M A RARE BIRD FIND! Rara Avis (Latin) n. rare bird; a rare or unique person or thing. Rare Bird Finds is your source for unique gift ideas. 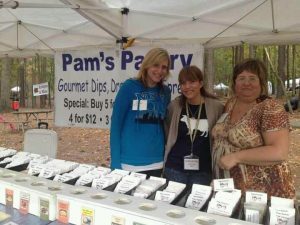 No matter the shape, size, or category, we only pick items that are hidden gems….and Pam’s Pantry is one of those gems! Daily Candy is your go to for hip products and trendy events that you can find in your local area. Pam’s Pantry was so hip, we made it into Daily Candy’s EVERYWHERE weekend guide. A great guide for fun party ideas and marvelous munchies. In 2012 we were very excited to be chosen as the Favorite Booth in the Marketplace out of nearly 500 booths at the 50th Anniversary Art & Craft Festival at Amish Acres in Nappanee, IN and were awarded the 1st Place ribbon. This prestigious award is voted on by the attendees of the festival. In 2013 we were very excited to again be chosen as the Favorite Booth in the Marketplace out of nearly 500 booths at the 51st Art & Craft Festival at Amish Acres in Nappanee, IN and were awarded the 2nd Place ribbon. This prestigious award is voted on by the attendees of the festival. Our Mandarin & Cranberry Chicken Salad was voted favorite product at the Country Living Magazine fair in Atlanta, GA. We were surprised with a visit and photoshoot at the booth with Sarah Gray Miller, Editor of the Country Living magazing! 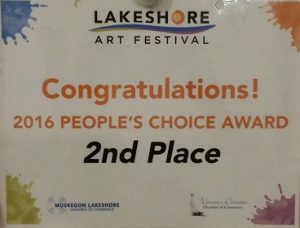 In 2016 at the Lakeshore Art Festival in Muskegon, MI we were voted 2nd place for Peoples Choice of favorite in show by the attendees. It was a huge honor that out of nearly 300 exhibitors, so many of the tens of thousands of attendees thought we were deserving of this great award!